Valve has opened a Linux blog to document its efforts to get the gaming platform onto the open source operating system and potentially bring franchises like Half Life, Portal and Team Fortress with it. An experiment to port zombie shooter Left 4 Dead 2 to Ubuntu was successful enough to pique Valve's interest in Linux as a platform and work has continued to optimise the game and bring Steam across to the OS. "The goal of the Steam client project is a fully-featured Steam client running on Ubuntu 12.04," wrote the Valve Linux team on the blog. "We've made good progress this year and now have the Steam client running on Ubuntu with all major features available. "We're still giving attention and effort to minor features but it's a good experience at the moment. In the near future, we will be setting up an internal beta focusing on the auto-update experience and compatibility testing. 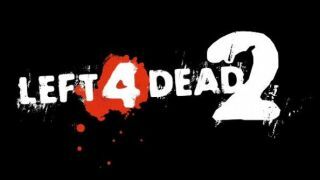 "Since the Steam client isn't much [good] without a game, we're also porting L4D2 to Ubuntu. "We're working hard to improve the performance and have made good progress…our goal is to have L4D2 performing under Linux as well as it performs under Windows." The Linux community it certainly a passionate one and Ubuntu has proven to be a popular flavour of the OS. Valve's Steam has been a massive hit on both PC and Mac and the company is clearly looking to roll that success further.